The Universal Belt Clip by zCover is a removable, rotatable, one-button-release clip that attaches to zCover's Silicone and Holster Carry Cases (excluding Back Open Silicone Case versions). 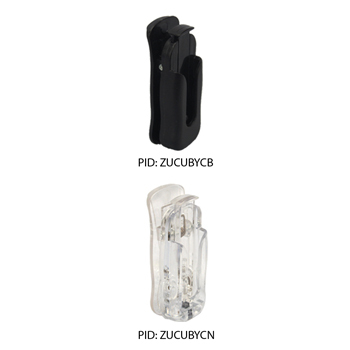 This unique clip has been specially designed with a universal tab, compatible with zCover's extensive line of accessories. It is made with durable, first-run plastic that is elastic and strong. The Belt Clip has high clamping power so it stays clipped on. An additional security feature is a small, integrated hook at the bottom of the clip that prevents it from being pulled off the belt loop accidentally. The Belt Clip rotates 360 degrees so the phone or other devices can be worn horizontally or vertically while attached to any belt. It is easy to remove and attach the phone or other devices from the Belt Clip with the one-press release design. 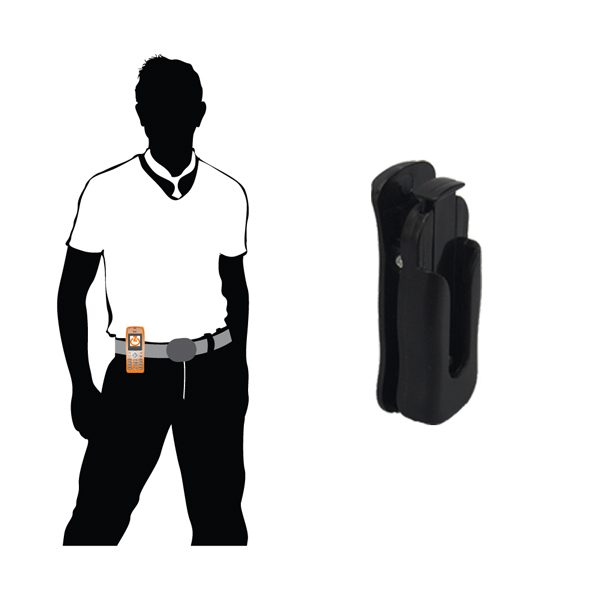 The Universal Belt Clip is compatible with zCover's interchangeable accessories, including the Universal Outdoor Armband, Shirt Clip, Adjustable Shoulder Strap, Window Clip and Holster Carry Case.